Well suited for an individual or a couple seeking an upgrade at a nominal cost, these suites are over 275 square feet with larger bedrooms and bathrooms than standard rooms. Junior Queen Suites come with one Queen bed, a sofa and bay windows that open with a street view. Most Junior Suites come with clawfoot tubs and charming four-poster canopy beds. 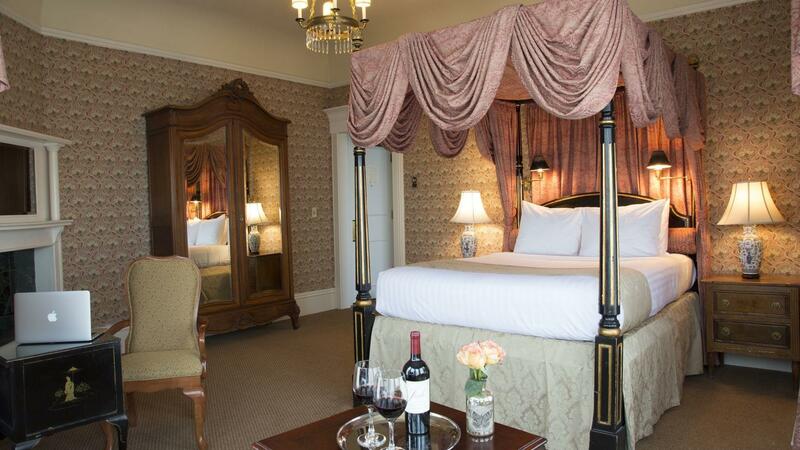 As this suite is a favorite among couples, be sure to inquire about our Romance Package to enhance your stay.